Your theme should be one or two words that relate to your most important goals for the year. Examples of themes might be Organization, Focus, Influence, Visibility, Service, Revenue, Involvement, Delegate, etc. 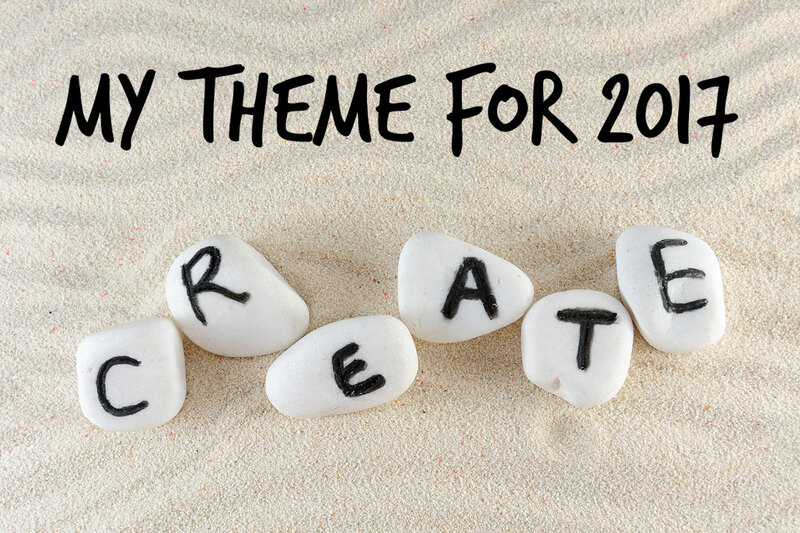 Here is how you can choose your theme and use it to help you achieve more in the new year. Choose only one theme. If you say that your theme for the year is “Focus, Involvement, Revenue and Organization,” well, you’ve blown the “Focus” thing right out of the gate. One theme. The purpose of your theme is to keep you focused on the things you need to do to reach your goal. Print out graphics of your theme word and post them on your wall, your computer, your phone, wherever you will see them often. Make your theme word the background for your computer desktop. As you make decisions during the year, remember your theme. For example, if you are offered a position on the board of your professional association, should you accept? The answer is more likely to be yes if your theme is “Involvement” or “Visibility” than if it is “Focus” or “Revenue.” Always ask yourself, “Would this choice be consistent with my theme and move me closer to my goals?” If so, go for it. If not, think long and hard before making that choice. Although I tend to think in terms of a theme for a year, your theme does not have to be tied to the calendar. Your circumstances may change at any time, and your theme should change along with the needs of your business. It’s particularly interesting because in my business as a Corporate Communication & Speech Specialist, I use the word “theme” frequently to help my clients with their public speaking presentations. Now I see how I can use it for my own purpose—mine will be REVENUE. Nice to hear from you, Dale! (It has been a while.) REVENUE is a good theme word, but don’t lose sight of what is probably your real goal: PROFIT. They may seem to be the same thing, but they are not. Good luck on increasing revenue and profit in the new year! Another excellent observation, Cathy. Thank you. My new 2017 theme will be: Profit! I’m thinking GROW. I was going back and forth between IMPROVE and GROW, but I think I’ll go with GROW. It sounds more positive than IMPROVE, don’t you think? I like GROW! IMPROVE is okay but a little vague. GROW is stronger. I am leaning towards Clarity. I’ve gone with Focus in the past, but I feel I need to take a step back and get really clear about what I’m trying to achieve before I can actually focus on achieving it. I like that, Janet. You have given this some thought and come up with a great theme! I like that you put don’t make a negative goal. I tend to always do that but making more positive sounding is a great idea.